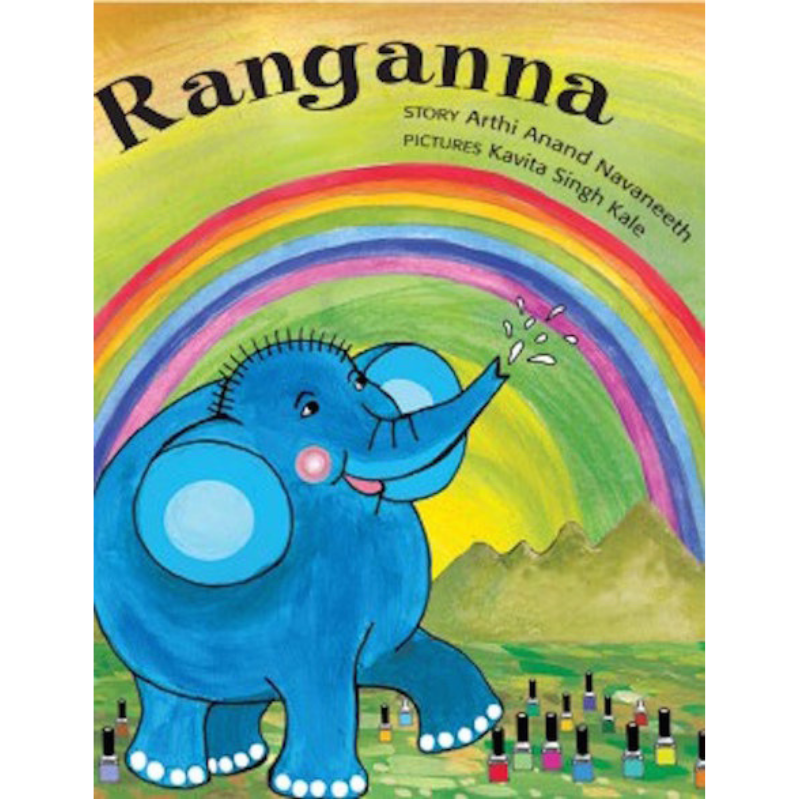 Ranganna is the story of a cute little elephant who loves colours. He lives by the temple, near a Dhobi Ghat right next to a flowing river and loves to see the colours in everything. Whether it’s the clothes the Dhobis hang out or the wonderful flowers sold near the temple. His two friends, Aditi and Anushka, come up to him one day with nail polish on their nails. And the colour crazy Ranganna is so fascinated by the colours on their nails, that he asks for nail polish on his nails too. Whether Ranganna gets his nails polished and what does he do later on, is what the book is all about.